The Bring-your-own (BYOD) business model doesn’t come without challenges for MVNOs. Tweakker secures a successful provisioning for all setup scenarios, be it an OTA, non-OTA capable or iOS mobile device. Each new customer that experiences a failed device setup immediately turns to the MVNOs’ call centres for quick resolutions or even worse, churns to the next best offer. With MVNO APN settings frequently lost due to roaming, factory reset or operating system updates, Tweakker ensures that customers are always-on and using data services during the entire life-cycle. Based on market leading device identification data and a complete set of certified over-the-air settings library, Tweakker APN Setup handles all handset setup scenarios. Never miss a revenue opportunity again by optimizing your APN setup process! Programmed to automatically trigger the right MVNO settings, either through an HTTP API or SIM applet integration, Tweakker ensures a successful APN Setup from first turn-on and during the entire customer life cycle. For 24/7 online support and an easy way for customers to setup their own mobile handset, Tweakker offers a visual self-help device setup tool to be embedded on MVNO’s website. Tweakker helps turn MVNO call centre agents into “how-to-setup Internet” experts, enabling them to quickly and accurately assist customers with APN Setup problems with just a click of a mouse. Thousands of device models end up joining MVNO networks, handsets that support different device setup functionalities. For maximum onboarding success, Tweakker performs immediate device setup based on device identification data, handset make and model. 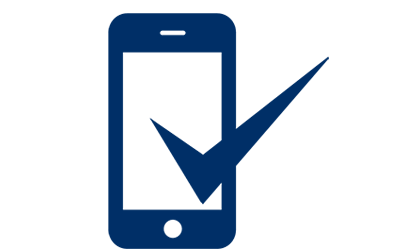 For Open Mobile Alliance Client Provisioning (OMA-CP) compliant devices, tested and certified settings are automatically pushed over-the-air (OTA). Whereas non-OTA capable devices are treated differently, by sending them, via SMS, step-by-step manual setup guides. Finally, iOS owners are not left to self-configure their device, instead Tweakker is the only vendor to offer auto-configuration for Apple handsets. Get full visibility into the device setup process by having access to an online portal that tracks the setup events of onboarded customers. Each device setup event matching the MSISDN number is recorded and enriched with the respective timestamp, setup type, source and more. All this intelligence enables you to better engage with your customers. Optimising customer onboarding through Tweakker’s APN setup solution has been a shortcut to faster revenue uptake for tens of MVNOs. Download the Tweakker APN Setup eBook and learn more! Learn how MVNE Teleena now differentiates its service for MVNOs by offering a fully automated device APN setup to provide faster revenue uptake, lower customer care costs and a perfect welcome experience for its MVNO customers.